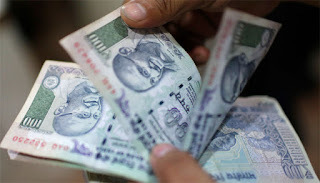 A proposal to increase the monthly wage ceiling for mandatory Employees’ Provident Fund (EPF) cover under the Employees Provident Fund Organization (EPFO) has been sent to the Finance Ministry. Sources close to the development has informed Zee Business's Prakash Priyadarshi that the proposal to increase the wage limit was re-sent to the labour ministry with certain amendments. The proposal calls to increase the mandatory wage limit to Rs 21,000 from Rs 15,000. The finance ministry is satisfied with the amendments and the proposal can be approved soon. Now, the proposal will be re-sent to the central board of trustees (CBT). This increase of the wage limit to Rs 21,000 can increase the number of EPFO members and bring more people under the social security net of the EPFO. Earlier, this plan to expand the social security net for organised sector employees was discussed but the finance ministry planned to shelve it due to certain reasons. The government decided to shelve the plan because it will lead to additional expense. It also asked to estimate the increase in the number of members and weigh the financial implication on the exchequer. This increase in the wage limit will increase the government's contribution to the employee pension scheme. Mandatory wage limit means that employees who fall under the decided bracket are mandatorily covered under EPFO and enjoy both PF and pension benefits. It becomes an optional scheme for those who are earning more than the decided limit. However, employees with higher wages also prefer to stay under the ambit of the scheme to enjoy the benefits, like higher returns and insurance, of the scheme.